Rent The Lodge at Tahoe Donner | Corporate Events | Wedding Locations, Event Spaces and Party Venues. Set in the Sierra Mountains near Donner Lake, The Lodge is a wonderful place to celebrate your destination special event amid breathtaking pastoral beauty. 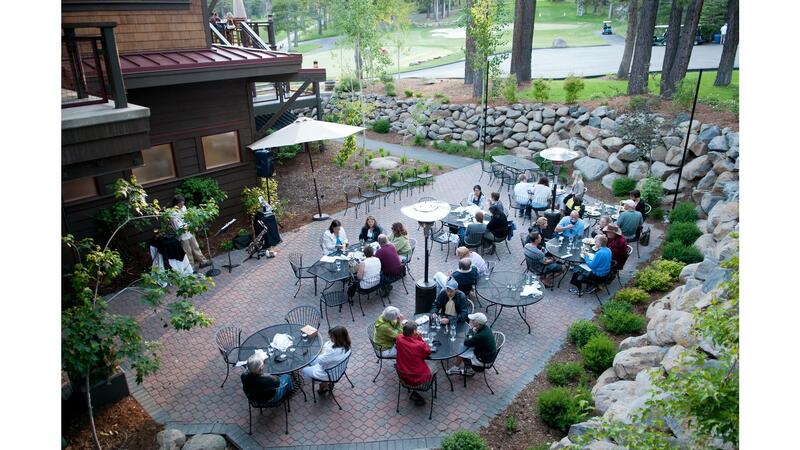 This popular restaurant and banquet center is the cornerstone of Tahoe Donner. The Lodge Restaurant & Pub is your friendly neighborhood bistro. Located in the heart of Tahoe Donner, our floor-to-ceiling windows offer spectacular views of the high Sierra landscape. The building reflects old world Tahoe with modern touches. Wood, stone, metal and glass come together in the perfect setting only to be outdone by our cuisine. Whether you enjoy Chef Orlady’s famous fish taco or sharing an appetizer while watching your favorite game in our lively pub, or if you prefer a quiet dinner next to the fireplace with a fine wine from our extensive award-winning wine list, the Lodge Restaurant & Pub has something for everyone.